We have five locations to serve you in Northern Colorado. We are a full service cleaners having served the Northern Colorado area since 1972. All locations of Nu-Way Cleaners now offer the time-saving service called “wash & fold” laundry. We will wash and dry your daily laundry and fold it neatly, so you can just place it in your drawers or on the shelf. We charge by the pound with a three-pound minimum. We can get it done when you need it -even same day service on weekdays. 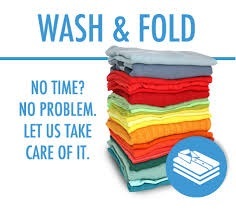 Our wash & fold service is also available for our free pickup and delivery service as well. So not only can you get your dry cleaning delivered, you can also get your laundry delivered after washing and folding by Nu-Way Cleaners.